THE WRCOC ARE PROUD TO ACKNOWLEDGE NEXUS SMART HUB AS THE 2019 SPONSORS OF NORTHERN VOICE. THANK YOU FOR YOUR CONTINUED SUPPORT. SHOUT OUT! 06 Meet the Board! What Do You Have Planned After the Awards? CHAMBER CHAT 25 Calendar of Events	26 SEEN! FROM THE EDITOR So here we are, three big months in to our Northern Voice adventure. Firstly, I’d like to say thank you to everyone who has contributed articles or gotten in touch to express interest in writing for us so far. Without you we wouldn’t have a magazine because the Northern Voice is the voices and stories of our local business community. So keep them coming! So if you have an article or even just an idea you’d like to talk over, we want to hear from you! We hope you enjoy Issue 3 of Northern Voice! PS: Don’t forget to follow our new Facebook Page or subscribe to Northern Voice on ISSUU to make sure you never miss an issue! ©Wyong Regional Chamber of Commerce, 2019 Northern Voice is an initiative of the Wyong Regional Chamber of Commerce, however the opinions expressed by Northern Voice contributors are their own. This publication can be shared across networks in its entirety, and printed for the personal use of readers. It cannot be repurposed in full or in part for commercial gain. Permission for all other uses must be obtained in writing from the editor of Northern Voice. Northern Voice contributors retain ownership of their articles and unauthorised use of their content will breach their intellectual property rights. Tim is the Business Services Manager at Tuggerah Business Hub – Australia Post, and also heads up our Social Media, Marketing & Website team for the Chamber. If you’d like to be a part of helping to promote our events across social media and generally work on ways to expand our network, talk to Tim on 0408 606 249 or introduce yourself at the next event. KLARA KAYE Klara is the clever woman that produces Your Guide Central Coast, and she also now looks after Fundraising and Promotions for our Chamber. If you have a knack for organising special events and clever fundraising ideas, contact Klara on 0414 405 999.
like to be a part of, say ‘hello’ to Glenn at our next event or call him for a chat on 0401 556 333. JOANNE CHO Joanne runs the Organic Property Group and also schedules regular Social Events for our members. These are low key lunch gatherings at various locations each month. Getting to know one another and chatting about all-things-social, is a great way to build relationships. Talk to Joanne on 0413 087 340 or email organicpropertygroup@ gmail.com if you’d like to support these events, and work with her to develop other activities with a social focus. SUSAN RODAK Susan is the Chamber Treasurer and Proprietor of ANZ Mobile Lending Central Coast North AND Battery World Wyong! In addition to those hats, she also vets any money spending ideas we bring to the table and regularly supports our events. I think that’s quite enough, don’t you? Make yourself known (and perhaps slip her a Berocca) at our next event. opportunities or would like to know more about our various Sponsorship packages, talk to Darren on 0418 618 530. RON STEVENS Ron is our Chamber President and the proprietor of Danalis Motor Body Trimmers & Upholstery. He manages all other aspects of the Chamber including many hours of emails, correspondence and attending meetings across the Coast on the Chambers behalf. He is a strong advocate for local businesses and a wealth of knowledge about the Chamber’s involvement in the region. If you haven’t already, make yourself known at the next event and talk to him about your business and why you’ve joined the Chamber. Join a team – Get involved – Be a part As a member of our Chamber you are a valued contributor to every aspect of our activities. We appreciate your support of our events and are continually looking to improve the way we support you in return. You are always welcome to provide feedback, but if you’d like to be more involved in any of these specific areas speak with the relevant Board member and be a part of what we’re creating on the Coast. Becoming a member of the Wyong Chamber has so many benefits. The Wyong Regional Chamber opens up a world of opportunity for individuals and businesses alike. Support through networking events, business tools and resources is just the beginning. There is no better time to become a member! 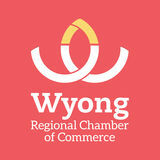 Join the Wyong Regional Chamber today! The Wyong Chamber of Commerce mission is to foster business growth in the local community. Members of the chamber have the opportunity to contribute and participate in a range of business and social activities to improve skills, provide knowledge and strengthen their connection with the local community. wyongchamber.com.au | Phone 02 4352 2643 Connecting our business communities... Since 1925.
n the wake of the recent tragedy in New Zealand, a great many people are deciding to withdraw from social media either for a while or altogether. Many are citing the fact - and it is a fact that social media has increasingly become a tool for some to spread an antisocial agenda, sometimes with words and sometimes, to our horror, with pictures. Thankfully, many social media platforms have taken steps to limit access to such content, however, the sad truth is many companies are struggling to control who uses their social media platform, and for what. I remember a few years ago I read an article written by an employee of a major video social media platform whose job is to watch numberless submissions each day, deleting those contrary to the guidelines. The descriptions this employee gave of acts she’s seen human beings perpetrating upon others will stay in my imagination forever. What Do You Do When Social Media is Part of Your Business? How many of us have declared we were withdrawing and taking a break from social media? Such pauses are undoubtedly healthy and nourishing for body, mind and spirit, as is paring down what we call the “friend” list. Typically, most peripheral social media contacts are individuals with whom we have no contact, connection or commonality. All those groups, articles and ads, the current affairs, all those darling puppies and kittens. Pulling ourselves away from the little screen in our palm has proven more challenging than simply unfriending the stalky ex-boyfriend or leaving the spam-laden group. There is no doubt social media can be toxic, and despite it being a virtual world, many of us have learned first-hand how platforms can be used to harm, vilify, and damage people in tangible ways. Like many of us, I’ve considered withdrawing from social media, especially in the wake of recent events, but have decided not to. I have however limited the platforms I use and what I use them for. Whilst I can’t control what others put out there, I can control what I am exposed and have access to. paint. Sure, it’s probably toxic, but it probably depends how you’re consuming it. Selective use of social media renders it a useful tool for connection, communication and yes, even beauty. Like many, I welcome a resurgence in social media of a wholesale enhancement of positivity, authenticity and humanity. For it to become this, we need to rethink the strategy of self-exclusion, instead voting with our inclusion. After all, social media does not exist in a vacuum. We can be the change because social media is essentially made of us. Be a star in your field of expertise. Register for the Wyong Regional Chamber Business Awards. The Wyong Regional Chamber Business Awards are designed to recognise business who have excelled in their field of expertise. Itâ&#x20AC;&#x2122;s just one more way we help to support our business community. Get your nomination in today. To submit your nomination! Members of the Wyong Regional Chamber of Commerce are invited to submit nominations for the annual Wyong Regional Chamber of Commerce Business Awards. There are a range of different categories to enter so now is your time to be recognised. Visit our website for more details on how to submit your nomination. Connecting our business communities... Since 1925. Pretty soon we had a few repeat customers on our books, one of those the editor of a locally distributed magazine. It was at the same time a page opened up in that magazine. One thing led to another and we were offered that space for a small monthly IT column. Needless to say, we jumped on it. My husband was the face and the brains behind the topics, and me being a writer, became the editor and polisher who made sure the topic spoke to our target market. 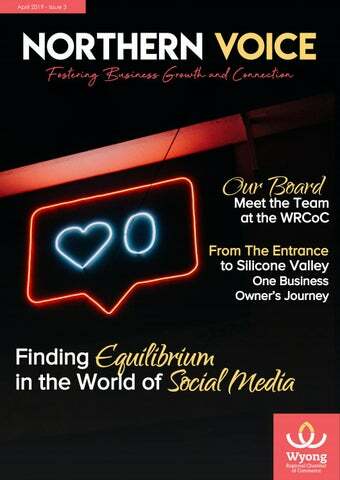 We wrote for that magazine for just over a year and it was a great eye opener into the world of content marketing, and why as a business, creating good relevant content is almost essential to growth and long-term success. So Why Would I Share My Knowledge….For Free? And yep, you’re sharing this for free. But why? Build trust and establish yourself as an expert in your field. When we started our column we were new to the area and didn’t know many people. There was an IT guy on every corner, and we were operating in an industry that didn’t have a great reputation. The monthly visibility allowed us to showcase our knowledge. We wrote about simple, common issues that empowered our readers to be able to ask the right questions of their IT guys. By doing this we established our business, and my husband, as the local IT authority. Get visitors returning to or subscribing to your website. We also used the magazine as a vehicle to drive people back to our website where we had more content waiting. And by consistently refreshing and providing relevant content, we ensured visitors returned to our site or subscribed to our newsletter. words, who you are and what your business is about. Our message was that we made IT easy to understand. We cut out the tech talk, meaning our customers could understand us, what we were doing to their computer and why. So How Do I Get ‘Column Space’ for Me and my Business? All you need to do is get in touch with me here at Northern Voice with your idea or your article, and we can have a chat about including it in an upcoming edition. Transforming businesses into trusted brands. We take the time to understand your business. Through marketing, design and digital solutions, we provide strategies to help solve your business challenges. game changers WHAT DO YOU HAVE PLANNED AFTER THE AWARDS? enabled them to bring new services and strategies to their client base. 1. Start your application as soon as you can. Put your best foot forward and use figures and numbers to show how you are succeeding and the results you’re achieving. 2. Have fun with it and don’t be afraid to show your personality and your businesses personality in your application. 3. Have a marketing plan ready to go. Make the most of the opportunity to leverage the win, and follow up on offers of interviews or anything that will highlight your business. The Annual Business Awards close at midnight on 19th May, so get your application together and start planning for your win well before the big night. Georgia Thomas is the Executive Secretary for the WRCoC and Principal Solicitor of Legal HQ Pty Ltd.
aking comfort in trade mark myths could cost you dearly. So, for anyone who has poured their heart and soul into the creation of their business, let me set the record straight on the top 3 fallacies. Registering my business name will protect me. When a new business owner goes to register their business name, they check its availability on the ASIC site and that’s usually the end of it. But does that mean they now ‘own’ the name? The simple answer is, “No.” The ASIC register is completely separate to the Trade Mark register. They have different purposes and don’t cross-reference listings at all. So even though a business name may be registered with ASIC, there is a chance it’s already owned by someone else as a trade mark. And if it is, the new business owner would be in breach of the other persons rights if they continued to use it. So, at the very least check the IP Australia Trade Marks list before registering a new business name. Trade Marks are only for business names and logos. No, they aren’t. Anything that uniquely identifies your products or services can be considered a trade mark. It might be a signature scent in a range of toiletries, or a sound used to introduce your product (the Windows start-up chimes for example). It may also apply to a slogan you use quite separately to your logo, or the names of individual products or services. While your business name itself mightn’t be anything special, you may run a workshop or sell a uniquely named product that is. A good way to appreciate the value in protecting those marks is to imagine seeing them used by someone else. How would that impact on the value and identity of your product? 3. I’m just starting out, so it’s not important. mark application, and if that still makes your eyes boggle, contact a professional who can walk you through it. Moving on from last months article where I talked about Defining Your Target Market, this month we are focusing on how you can increase your on-going repeat business. First and foremost, your business must deliver to the satisfaction of your customers. This is the threshold level to remain in business. But even when you run a good business, will a satisfied customer return when you want them to, at the frequency you would like them to? Not likely, you absolutely need to give them a reason to come back for more! So here are some ideas to entice them to return: 1. Consider including a thank you coupon with every purchase that provides an incentive or discount that they can receive on a future purchase. Donâ&#x20AC;&#x2122;t forget to include an expiry date for the coupon. channels with your customers. Encourage them to like, follow or subscribe from your social media channels and use these mediums to engage and harmonise your marketing messages and offers in enticing your satisfied customers to return. Mother’s Day Luncheon Hosted by Your Guide Central Coast Special Guest Speaker Melinda Schneider Lake View Room Entertainment Grounds Gosford 12-3pm Tickets $55 Call 0414 405 999 or Book Here! New Members Lunch Join us for lunch and a tour of the Nexus Smart Hub, while we acknowledge and welcome our newest members. Nexus Smart Hub 12-2pm Tickets $25 Book Here! WRCoC Social Lunch Bring a friend and join us for lunch! Wyong Milk Factory 12-2pm No need to book, just turn up and order. Contact Glenn Zocher glenn@studio2you.com. au or Joanne Cho joanne@ organicpropertygroup.com.au for further details. 15TH MAY Northern Voice May Edition LIVE Save the date! 28TH MAY WRCoC Dinner Pullman Magenta Shores Resort 6pm Save the date! 22ND JUNE Annual Business Awards Kooindah Waters Resort Don’t forget to enter! Click Here to Apply! CASUAL MEETING ROOM HIRE RIGHT HERE ON THE COAST. Nexus Business Hub in Wyong leads the Central Coast in modern, stylish meeting spaces for your business appointments. Our rooms come fully equipped with state-ofthe-art video conferencing, incredibly fast internet and access to all the facilities on site, including our concierge service. Choose from several different sized rooms including our large boardroom and with all connections tested before your start time; it’s as simple as plug and play. On 11 April the WRCoC was treated to drinks and canapes at The Entrance Lake House with special guest speaker Edward Zia. WRCOC EVENT On 26 March, Wyong Regional Chamber of Commerce held a lunch at Wyong Race Club with guest speakers Dan Farmer and Emma Barbato from Southern Cross Austereo.